I returned home last Saturday after 2 weeks in Europe, mostly snowboarding in Austria (this is another blog post) and a little bit of work in London. The snowboarding was amazing, but I had not run in almost 2 weeks and was really looking forward to running with Susan on Sunday. 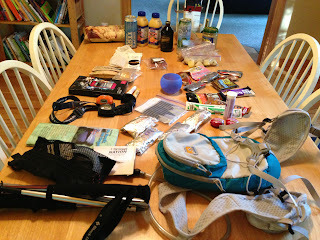 Susan planned a new 20 mile route for us at the north end of Forest Park, but we woke up to it snowing. The forecast had predicted snow later in the day, so not knowing how much snow we were going to get we decided to run closer to my house in case we needed to bail. Being extremely jet lagged, l looked up a 20 mile route in our blog while Susan drove over. We quickly got off the original route, don't trust someone with a few hours of sleep to navigate. Luckily, we know Forest Park pretty well and improvised and ended up with a new 20 mile route. 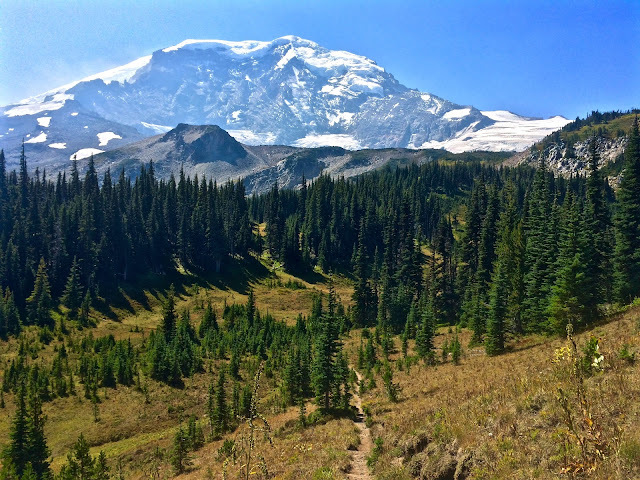 No run has reshaped the borders of my soul like circumnavigating Mt Rainier. No run has infiltrated my dreams like spending three days just running and not much else, in the middle of the longest summer in the Pacific Northwest's recent memory. No run has made me fall so deeply in love with the magical combination of mountains, wilderness, and summertime. Like all of our great long runs, Ann researched and planned this one. 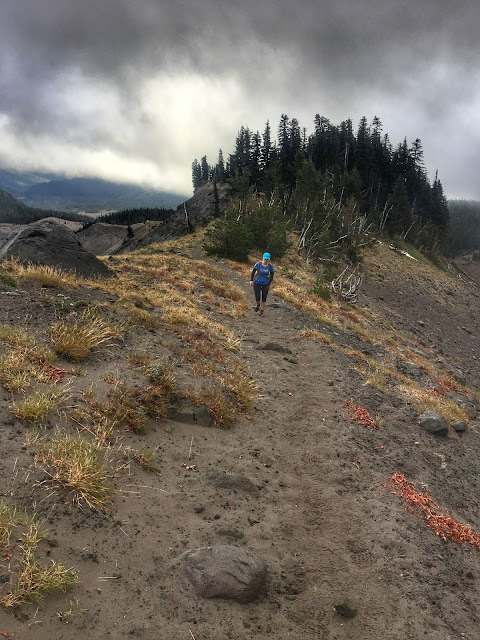 She discovered that most people run the 93-mile Wonderland Trail clockwise, and that we could split the route into three days with a cushy hotel stay each night. We, however, would run the route counterclockwise to start with the longest day of running first. We had a beer with our friend Heather McGrath, who had run around Rainier the previous year, to hear more about her trip, get tips, and make sure that our plan wasn't too crazy.